for $167,500 with 4 bedrooms and 2 full baths. This 2,064 square foot home was built in 1993 on a lot size of 0.40 Acre(s). 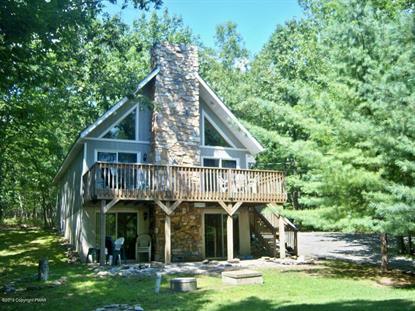 This Classic Pocono Chalet Offers Three Finished Levels Of Greatness! The Main Level Of This Home Offers Great Room With Vaulted Ceiling, Stone Fireplace & Dual Sliders That Lead To The Elevated Deck. There Are Also 2 Bedrooms & A Full Bath On This Level. Go Upstairs To The Open Loft Area Or Downstairs To The Finished Lower Level. The Lower Level Offers Family Room With Another Stone Fireplace & Dual Sliders, 2 More Guest Rooms & A Second Bath. This Home Is Located In An Amenity Filled, Gated Community With 5 Lakes, 2 Outdoor Pools, 24-Hour Security, Active Clubhouse & More.